Seattle! Heads up! 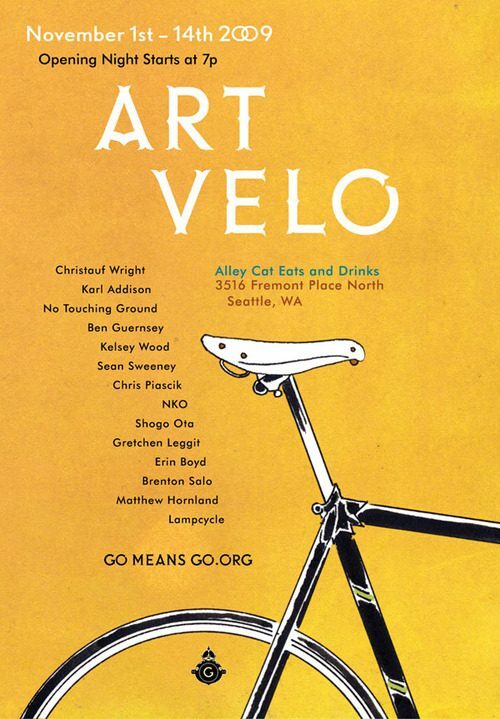 November 1st-14th is Art Velo. Opening is at Alley Cat Eats and Drinks, which is located at 3516 Fremont Pl. N. in Seattle. More information here, at Go Means Go!